Charlotte Street, Fitzrovia, offers a superb and unique variety of cuisine in both ethnicity and price that will satisfy the most discerning restaurant goer. Probably the best and largest range of restaurants in any street in London. To see more details on each restaurant, click on the restaurant name below or icon on the map. Clicking on the restaurant name then opens their web site in a new window. 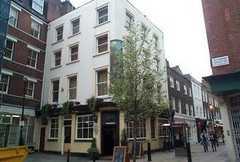 Charlotte Street is a few minutes walk from Bloomsbury Hotels. Charlotte Street Hotel and Oscar Restaurant & Bar. This is a 5* Firmdale Hotel. 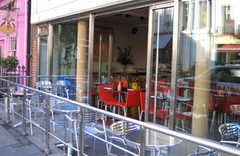 Oscar is a bright, buzzy bar and restaurant and opens onto Charlotte Street in the warmer months of the year. It's a light and spacious room with an open plan kitchen which produces excellent contemporary British food with emphasis on fresh, seasonal and organic produce. Bertorelli was one of the original restaurants in Charlotte Street and has an enviable reputation for fine dining. You will not be disappointed. Bertorelli is a supporter of the Charlotte Street Festival. Privately owned boutique style hotel with 72 en suite rooms, meeting rooms, restaurant and bar. This is the most famous meeting place in Fitzrovia. 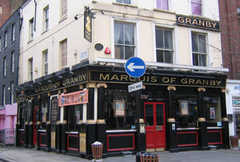 It has a colourful history and is now a Sam Smith pub. The Fitzroy Tavern supports the Charlotte Street Tree Lighting Project. Contemporary Japanese Rebatayaki cuisine. Very highly rated and has a great buzz about the place. Don't trip over the Bentleys and Astons on the way in. Sister of Zuma, some say it's equal if not better! Fantastic food and great value for money. Sister restaurant to Siam Central in Charlotte Street. Thai Metro is a supporter of the Charlotte Street Tree Lighting Project for Christmas. The NEW Andreas Restaurant opened in November 2008. Andreas brings back superb Greek food and fun to Charlotte Street and is already a favourite haunt of the local experts in fine dining. Family owned and not part of a chain and we take pride in the quality of our fresh food, service and friendly atmosphere. We hope you will find our new venue refreshed and revitalised and we can promise you a warm welcome. Andreas is a supporter of the Charlotte Street Festival. Pied a Terre is a wonderful 2 Michelin Star restaurant offering modern French cuisine to the highest standard. Unpretentious cool atmosphere with the emphasis firmly on gastronomic satisfaction to the highest standard - unique even! This is a welcome new addition to Charlotte Street, yet to establish its reputation and has the chance to become a favourite curry house. Curry Leaf is a supporter of the Charlotte Street Festival. The ICCo has the style of a lively canteen. Popular with locals, can be noisy and crowded at peak times. It's also fun, which makes a refreshing change. The pizzas are great value for money, starting from around £3.00. They’re basic but tasty and a good way to fill up on a budget. Wonderful owner managed Spanish Restaurant. Authentic, atmospheric and genuine value for money. A longstanding friendly family business in Charlotte Street with an enviable reputation for quality and value for money. One of the best seafood restaurants in London committed to bringing you the freshest fish, and our own buyer can be found very early every morning at Billingsgate Fish Market. Long established with an impeccable reputation for quality and service. Really great food, friendly staff at an affordable price. Siam Central is a supporter of Charlotte Street Christmas Tree Lights. Goan (South India) cuisine is a delicious blend of Indian (in its liberal use of spices) and European (in its fine tuning of flavours that are sometimes more subtle than fiery) courtesy of its Portuguese heritage. 1930's Parisian brasserie style atmosphere in this, the original Chez Gerard. Cosy & relaxed and the food is always excellent. Chez Gerard is one of the original restaurants that gave Charlotte Street its enviable reputation for good food. 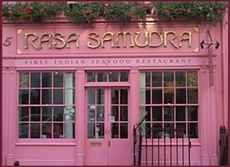 One of the few family owned restaurants in Charlotte Street. Friendly and welcoming. Always up to the high standards of Pizza Express. Pizza Express is a supporter of the Charlotte Street Festival. Serving Keralan seafood dishes alongside the vegetarian repertoire for which the Rasa name has become famous. Excellent food! South-East Asian influenced menu, naturally fusing ingredients from Thailand, China and Vietnam. Bam-Bou is a supporter of the Charlotte Street Festival. A small but friendly pub away from the hustle and bustle with an excellent pie room on the 1st floor. Charlotte Street welcomes the new owners of the Duke of York. This is a traditional pub in the best sense of the word. The Duke of York is a supporter of the Charlotte Street Festival. Click on the Title and use your cursor to sweep around the street. 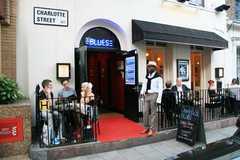 Charlotte Street is host to the largest concentration of restaurants in one street in London. The Bloomsbury district has over 50 hotels ranging from bespoke Town Houses to 5 start, just 5-10 minutes walk from Charlotte Street. You can check availability and make reservations at all Bloomsbury and Fitzrovia Hotels from here - Click on the title above. Use Tottenham Court Raod Underground on 6 June - Goodge Street is closed for works. TCR station is on Northern and Cantral Lines. 5 minutes walk from Charlotte Street. Use Tottenham Court Road underground on 6th June - Warren Street is closed for repairs. Fino Spanish Tapas Restaurant and Bar recently refurbished to a high standard. Excellent food and reputation. Stylish interior and clientele. The New and only Japanese restaurant in Charlotte Street received an excellent rating from Fay Maschler of the Evening Standard in Oct 2008 and is a welcome addition to Fitzrovia cuisine. Rebecca Hossack opened her first art gallery in Fitzrovia, in the heart of London, in March 1988, and a second three years later. Since then the galleries have built an international reputation for innovation, individuality, energy and excellence. traditions. It was the first art gallery in Europe to exhibit Australian Aboriginal painting, and continues to promote it through its regular Songlines seasons. Rebecca Hossack has also curated important exhibitions of work by the African Bushmen, from Papua New Guinea, and from tribal India. Much of this art would simply not have been seen in the UK but for the RHAG. against some of the dominant currents of the modern art scene. inclusiveness, individuality, spirit, innovation, technical accomplishment and beauty. With nearly 30 years experience, and an in-depth local knowledge, our team are here to help you with all your property needs. 1st class Thai restaurant and bar. Cosy atmosphere, swanky and interesting. Even the old coal cellars have been utilised. You will be left wondering how they did it! Don't look up for the name of the restaurant - you will find the name on the brss nameplate on the doorstep! NCP car park is in Adeline Place. Access via Tottenham Court Road - turn right into great Russell Street, OR from Gower Street turn into Bedford Avenue to Adeline Place. This car park is manned 24 hours per day - clean and safe. Whether you need a small executive suite or an entire floor of serviced office space, our flexible serviced office centres provide the solution. Our centres are located in prime areas throughout the UK and India with Dubai coming soon. All our centres are non-branded, offer transparent pricing allowing you to budget effectively and feature fully AV equipped Meeting and Training Rooms. These factors set Avanta apart in the market place and our highly trained centre staff are on hand to help you grow your business. We look forward to offering you a solution to your specific requirements. This is different and well worth visiting. The Korean menu includes its speciality of table BBQ, as well as beautifully-presented dishes like Samsaek milssam(korean style wrapped pancakes with meat & vegetables stuffing) to start. Next go for the BBQ of Koba modeum gooi(grand assortment of meat, prawn & vegetables) or try something different such as yookhwei dolsot bibimbap(steam rice with raw beef & vegetables in a korean stone pot) or busut mandoo jeongol(mushroom casserole with dumpling & various mushrooms). Zizzi offers great value for money and their Charlotte Street restaurant has a good ambiance and buzzy atmosphere. Recently refurbished with an excellent new menu. Worth visiting their website to print out their latest offers. The whole family will love it. Spectacular new Gaucho in Charlotte Street opened in Sept 2009. Gaucho is a supporter of the Charlotte Street Tree Lighting Project for Christmas 09. Great new Blues venue and real value for money. Sister restaurant to La Perla in Maiden Lane, Covent Garden. La Perla Bars are unique restaurant-bars that serve Mexican food and drinks in a lively, fun atmosphere. La Differance! From salads and deli pots to small rolls and mini muffins, you get to choose more variety. We call it grazing. Our food is based on the way we eat. You'll find interesting food and new combinations to try as well as some old favourites. We have a kitchen on-site where we make fresh food every day. After leaving our careers in advertising and the fashion industry we spent nearly two years sourcing the best ingredients and suppliers and the tastiest produce we could find. We first opened our doors in March 2007 and have not looked back since. We have built a great team of people to make sure you eat well and enjoy being in our store. 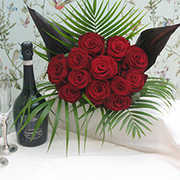 If you haven't chatted to one of the team then you won't know how lovely they are so do take the time to be friendly. Square Meal says: "‘utterly delicious’ Spanish & Italian food, served tapas-style & taking in such successful combinations as melting pork belly with rosemary-scented cannellini beans, Cornish crab & chilli croquettes & sublime battered courgette flowers stuffed with goats’ cheese & drizzled with honey. Even the bread & aïoli are first-rate." Time Out says: Beneath the contemporary Japanese restaurant Roka, slap-bang in media central, is this buzzy, evening-only basement whose approach is part 21st-century cosmopolitan, part feudal Japan. The famous Elysee Restaurant will be re-opening in September 2010, totally refurbished, revitalised, and spectacular including a sensational roof garden and state-of-the-art kitchen. This famous restaurant will be re-opening as a Mediterranean/ Greek Brasserie opening for lunch until late and will now be operated by the next generation of the Karageorgis family. The Elysee was founded in the 1950's by George, Michael and Ulysses Karageorgis and has been a landmark restaurant ever since, famous for its food, cabaret and plate smashing. It is estimated that over a million plates a year were broken by the patrons. Quite simply, excellent food at a fair price.